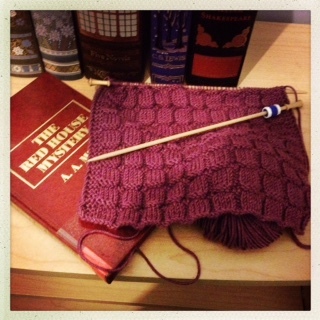 I am knitting the Spruce Cowl, and reading an A.A. Milne mystery from this list of little known mysteries. Oh, that is so pretty! I love the color and the pattern. Great job!